Generally when we think of organically grown, thoughts of food come to mind. For good reason, the push for organic, non-gmo foods is growing rapidly with the most popular food items being fruits and vegetables. According to the Nutrition Business Journal, U.S. organic products reached an estimated $28.4 billion in sales in 2012—over 4 percent of total food sales—and surpassed an estimated $35 billion in 2014. This is significant growth in a 2 year period that has continued to increase yearly (U.S. Department of Agriculture Economic Research Service). People are becoming more concerned with the things they put in and on their bodies. They want to rest-assured their foods and other goods come with as few harmful chemicals as possible. As the organic industry grows, people are interested in more than just the foods they eat. They’re also concerned with other items that are based in agriculture. For example textiles, lotions, and house cleaners. In fact, the Organic Trade Association’s 2016 Industry Survey announced the total for organic products sales reached a record high of $43.3 billion in 2015. Choosing organic products has major benefits at an individual, community, and global level. The more consumers support organic goods, the more we’ll see on the market. So put your money where your heart is and choose organic whenever you can. So what exactly does it mean to be organic? The U.S. Department of Agriculture has set very specific standards any agricultural good must meet before it can receive the USDA Certified Organic seal of approval. Organic crops cannot be grown with synthetic fertilizers, synthetic pesticides or sewage sludge. Organic crops cannot be genetically engineered or irradiated (non-GMO). Animals must eat only organically grown feed (without animal byproducts) and can’t be treated with synthetic hormones or antibiotics. Animals must have access to the outdoors, and ruminants (hoofed animals, including cows) must have access to pasture. Let’s look at what each of these standards mean. This is perhaps the more recognized requirements for organic agriculture. For something to be synthetic, it must be unnatural or man-made. In other words, synthetic products use specific chemicals to help something grow (fertilizer) or to kill animal and insect pests and weeds (pesticide). These synthetic fertilizers are man-made compounds, many of which are by-products of the petroleum industry (Enviroingenity). The use of synthetic fertilizers and pesticides has many negative side effects. They pour unnecessary chemicals into local soil, water, and air, impacting wildlife and residents in the surrounding community. You may have heard about the controversy concerning the use of a particularly potent pesticide called chlorpyrifos. This pesticide uses chemicals proven to cause developmental problems in children. Right now the chlorpyrifos pesticide is allowed by the EPA, but many environmental groups are fighting to have it banned. (New York Times). Synthetic chemicals are also marketed with GMO crops. This has severe implications for farmers who don’t use GMO crops. More on this later. Instead of applying these synthetic additives, organic farmers use all-natural pesticides and fertilizers. These organic alternatives are materials made from plants and animals. Examples are fish meal, blood meal, compost, bat guano, manure, seaweed, and worm castings. For those pursuing a vegan or vegetarian diet, you would want to focus on plant-based fertilizers and pesticides (Enviroingenuity). The third item in this bullet, sewage sludge, is as bad as it sounds. When waste water treatment plants treat sewage from communities, the liquids are filtered, treated, and returned to the environment. The solids are separated into something called sewage sludge. For decades this was dumped into the oceans creating horrific dead zones. In 1992 when the Marine Protection Act went into effect, this dumping was outlawed. New solutions were necessary for the disposal of sewage sludge. The EPA and industries worked together to rebrand sewage sludge as biosolids to be used as agricultural fertilizers. Today many industrial farms continue to use these biosolids on all crops including fruits, vegetables, and cotton. Unfortunately these biosolids may carry potentially harmful chemicals and bacteria. Ever wonder where many of those E. coli and Listeria outbreaks on vegetables come from? As you can imagine, many people are opposed to this practice fearing unhealthy contamination and harm, therefore the use of sewage sludge is not allowed for farms seeking organic certification (Mother Earth News). Most people have heard the term GMO – Genetically Modified Organism – but few really understand the implications of genetically modified agriculture. When simply stated, the idea of modifying our crops and animals to make them larger, faster growing, and better able to withstand environmental challenges would seem like an advantage, right? This is what GMO marketers would like us to believe. When placed in that light it does seem beneficial, but there is much more to know about GMO. The use of GMO crops has significantly increased in the past 20 years. In fact, they are now the main seeds used in crop production in the United States. In 2014, GMO varieties made up 93 percent of corn acres, 94 percent of soybean acres and 96 percent of cotton acres planted in the country. This has major implications for farmers who seek to maintain organic, non-GMO crops. For one thing, their crops can be contaminated by GMO crops through cross-pollination with neighboring fields. This impacts their ability to market their crops as organic/non-GMO which significantly lowers their market value (Food and Water Watch). However, this is only the beginning of the problem. Remember those synthetic pesticides and fertilizers mentioned above? Many of the companies who create the GMO products for farming are also the companies who develop the synthetic fertilizers and pesticides. Their intention is to create crops that can grow even when sprayed by the pesticides that would kill any other pants not raised to withstand it. This can create major issues in agricultural regions. First of all, many farmers own land that sidles up to another farmer’s property. When the GMO farmer sprays his crop, it is highly probable their sprays will travel to the neighboring farmer’s field either through the air or waterways. This is called “pesticide drift.” When those pesticides reach the next field, they will kill the other farmer’s crops which have not been raised to withstand the synthetic pesticides. They will also kill any natural flora growing in the vicinity. This can have major implications for the health of the ecosystem, neighboring crops, and farmers. Monsanto is one of the big players in this scheme. The company has become the poster child for negative GMO practices. Organic farmers and environmental groups are fighting for legislation that bans the spread of especially harmful chemicals. In July of 2017, Arkansas and Missouri announced the temporary ban of a common agricultural chemical known as Dicamba. This is a fairly common pesticide whose use dramatically increased when Monsanto released Dicamba-ready soybean and cotton seeds. Farmers not using Dicamba-ready seeds were struggling as their crops were killed by nearby sprayers (Reuters). Organic and non-GMO farmers across the country are seeking to protect their farmers from pesticide drift. The current ban of this chemical will hopefully set a precedent for future chemical pesticides. As GMO use increases, its negative impacts spread as well. This is why it is crucial that organic certification outlaws GMO products. When humans eat foods treated with synthetic fertilizers and pesticides, they inevitably ingest those chemicals. A recent study by the Center for Ecogenetics and Environmental Health at the University of Washington, found the most common way humans are exposed to pesticides is by eating them, though those living near or working in farms face more direct exposure. Those most susceptible to pesticides are infant, children, and pregnant women. Children are more at risk than adults because they eat more in relation to their total body weight. This means they are ingesting more chemicals on non organic foods. The increased exposure to pesticides can cause developmental, neural, and respiratory issues in children (CEEH). Animals raised for food can also pass these pesticides to humans. Chickens, cattle, pigs, and other animals raised for food eat large quantities in proportion to their body weight, and therefore ingest large amounts of chemicals. These chemicals are then passed on to humans through meat, milk, eggs, etc. Therefore, to be considered organic animals must be served a vegetarian, organic diet. Organic certifications also focus on the quality of life given to animals raised for human consumption. As people have become more aware of the unhealthy and sometimes brutal conditions many animals raised as livestock live in, they have increased pressure for drastic improvements. One of the most important is access to the outdoors. For decades most livestock have been confined to small, dark cages. Organic regulations battle these practices. Some regulations are stronger than others. Some may only require a window, where others do not clarify the amount of time spent outdoors. If quality of life is important to you, make sure you pay attention to the unique certifications your food has earned. An additional certification you can seek is “certified humane.” This is a project focused on humane animal care with certifications for life and death including welfare and humane slaughter for beef cattle, broiler chickens, laying hens, dairy cows, pigs, sheep, turkeys, goats, and bison. For the best quality of life, look for this stamp of approval (Certified Humane). The final rule, animals cannot be cloned was put in place in 2007. According to Jim Riddle, the former chair of the National Organic Standards Board, “cloning has no place in organic agriculture. As the FDA’s own report shows, cloning is still very experimental with a high failure rate, it’s inhumane and totally unnatural” (Food and Drug Administration). So What about Other Organic Products? The regulations pertaining to organic certifications in the U.S. primarily focus on food. So what about other organic products? There are perfumes, lotions, soaps, and organic textiles to name a few. To be certified organic, these products also have to follow the regulations stated above. Some also have unique certifications in their field at a local and international level. For example, let’s look at organic cotton. “Organic cotton has the powerful advantage of following internationally recognized organic farming standards that are enshrined in law,” (Organic Cotton). There are specific organic cotton certifications for the EU, Japan, and the USDA. There is also a global certification program called GOTS – Global Organic Textile Standards. To learn more about GOTS, check out this post! Organic standards are improving yearly as consumers become more interested in the impact of their personal choices. More and more individuals are seeking eco-friendly goods, and this bodes well for the planet. Whether it’s food, household products, or textiles, going organic is the right choice for your family, community, and our planet. Choosing cloth diapers is an important step for new families to consider in a sustainable household. Similar to many other inventions of the mid-twentieth century, ahem water bottles, diapers have become an ecological nightmare. Popping up not only in our landfills, but basically left behind anywhere families congregate including beaches, parks, rivers, not to mention plugging up toilets. The key thing to remember, is that diapers are disposable, not biodegradable. Those diapers left behind stick around. The estimate is 250-500 years in fact. That means those ten diapers a day being used by each parent are piling up, and they’re not going anywhere anytime soon. By 1980, only 40 years after their introduction, American babies were blowing through 1.93 million disposable diapers a year. This made up 1.4% of all household disposable waste. Over time, diapers did go through some alterations, super-absorbent polymers came into play, reducing their size by 50%. However, the use of diapers are still increasing. More and more people can afford to buy disposable diapers, the population is increasing, and families are targeted for convenience rather than environmental impact. By 2006, American babies wore 3.6 million tons of diapers, this is almost double the amount they used in 1980. Diapers also increased to 2.1% of all household waste. Today, we are increasingly aware of the impact our choices have on our fragile environment, and people are beginning to rethink the easy way out, preferring more sustainable solutions. It’s no surprise then, that more and more families are choosing to use cloth diapers in their household. If you choose to go with cloth diapers, don’t worry. You won’t be stuck with a single cloth towelette and clothespins like parents of the past. The beauty of cloth diapers today is the ingenuity modern designers have employed in making them not only easy to use, they’re also very cute! There are also a number of diapers to choose from. Each one is a little bit different in the way they’re used, fit, etc. They’re often referred to as systems. Most cloth diapers have two parts – the cover and the insert. Some inserts snap in, others slide into a pocket within the cover. You’ll want to think about whether you’d rather work with the pocket or snap-in liner. For covers, you want to consider velcro vs snaps, and whether or not you prefer sized diapers, or those that grow with the baby. Also, different diapers fit different babies. 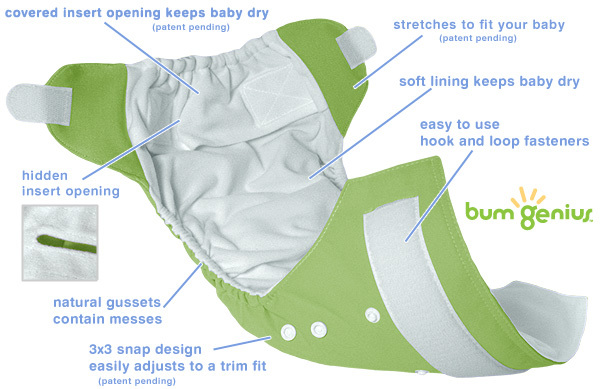 Some of the more popular diapers to checkout include gDiaper offering the option of reusable or disposable liners, Thirsties which are made in the US, FuzziBunz, and BumGenius the original pocket-style diaper (see above). 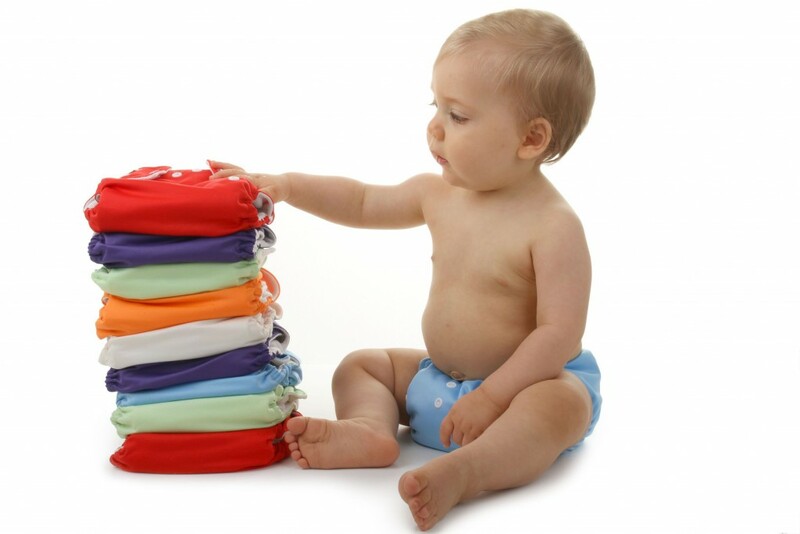 As the use of cloth diapering increases, so do the number of diapering services. You may be surprised, even in small towns they’re springing up. In general, these services provide the collection can and inserts – you wash your own shells. Many also offer a pick-up and delivery service. If you’re having trouble finding one online, ask a round at your local baby stores (our second-hand baby store offers ours). Birthing centers, hospitals, and midwives may also know where to direct you. Services can run as low as $75 a month. For many that’s well worth not having to mess with washing diapers. If cloth diapers don’t work for you, or even if you need an alternative some of the time, there are some biodegradable diapers starting to make their way on to the market. Some serve as inserts for your reusable diaper shell, others are their own diaper entirely. gDiaper, one of the more popular cloth diapers offers disposable inserts for those times when cloth is especially challenging. 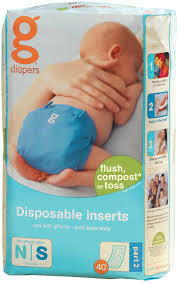 gDiaper disposable inserts are made primarily of plant-based, naturally-derived and non-petroleum ingredients, pure essential oils and gentle preservatives. Nature Babycare is a swedish brand diaper, though not entirely biodegradable, it does offer some biodegradable components. There are times when you’re so exhausted from a 3 am feeding that the last thing you want to do is mess with cloth diapers. Or perhaps you’re in the middle of a road trip across the US and have no way to clean your diapers during your travels. Let’s face it, these are the times when disposables just might make sense. If this is the case, it’s ok. Just remember to use cloth as much as possible, and keep o,……mne bag of disposables on hand, in case you need a bit of extra help. Parenting, after all, is not easy. And sometimes all you want is something to make it run a bit more smoothly. If you do decide to buy disposable diapers, there are some brands that offer a more earth friendly choice. 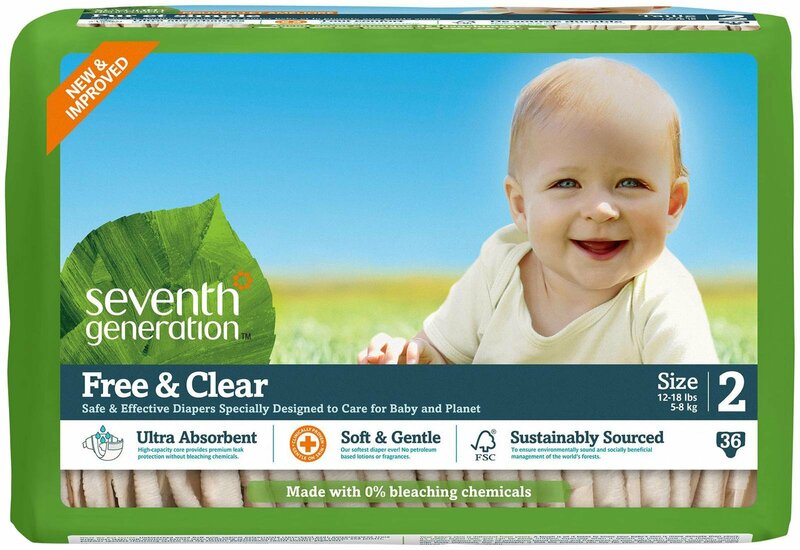 Check out Seventh Generation’s Free and Clear Diapers. These are made without fragrances, latex, petroleum, and chlorine. They offer a hypoallergenic product, less likely to irritate baby’s sensitive skin. The Bambo Nature Diaper boasts the Nordic Swan Eco-Label green label certification. The manufacturer has regular environmental inspectures and hte diapers are made without chlorine, phthalates, and other toxic chemicals. Earth’s Best are made with renewable materials including corn and weight and are made without chlorine, latex, dyes, and perfume. Try a few diapers, wait until after the baby is born before you pick one system. If you’re choosing to go with a cloth diaper, most recommend you get one of each before the baby is born, try them out, and then buy more of the system you like after your bouncing infant has arrived. Many people stock up on diapers at the baby shower, so consider asking folks to give you gift certificates for diapers rather than stocking up. You’ll be able to choose your own diaper after your bundle of joy has arrived. Want to learn more about cloth diapers? Check out these great posts by other bloggers. There is a movement rapidly gaining momentum. It’s environmental with a focus on sustainability, consumerism, and conservation. This movement urges us to turn away from our over dependence on plastic. This man-made substance has undoubtedly made our lives easier in many ways over the last century. Unfortunately it is about to make our lives, our very existence on this planet, much more difficult. That’s because plastic does not decompose. Every single piece of plastic ever generated is still in existence. The Earth cannot digest it. When we look into our roadsides, oceans, and landfills, we see that this is a major problem, and it’s only getting bigger. The daily consumption of plastic is growing at an exponential rate, meaning the growth isn’t steady. It’s increasing more and more every day. As the human population grows, we see an increase in need for goods. With improved economies, we also see a rise in consumerism worldwide. Much of this consumerism is for useless stuff. Items that may be enjoyed briefly and are soon forgotten. For example, think of children’s toys. The vast majority are made of plastic, have very little purpose, and are often enjoyed for a short period of time before they’re long forgotten. Another example? Consider the holidays. If you walk through any store from September to April, you’ll notice the vast amount of plastic holiday goods. Many of these items may never be purchased or will have a brief use before ending up in our already bulging landfills. So how did we become a plastic society? Sometimes it seems like it’s always been that way. It’s hard to believe plastic water bottles have only been available to the public since the 60’s! In reality, plastic is a relatively new phenomenon. I’ve constructed a plastics timeline, to help clarify the inception of plastics, and how our dependence on this synthetic material grew and solidified. It is important to note that some plastics play a very important role in our society. They’re highly valuable in medical equipment, food preservation, and for lightweight strength materials, to name a few. These are not the plastics condemned here. Instead, the issue is single use, unnecessary plastic items meant to be cheap and expendable. Plastic bags, water bottles, cheap toys, and silverware are the types of items having a devastating effect on our environment. They’ve got to go. The purpose of this post is not doom and gloom, but instead to help us realize that humans have been around for over 200,000 years, and modern civilization for 6,000, and we’ve depended on plastic for less than 100 of those years (Universe Today). That being said, it’s not impossible to move away from plastics and reduce its damaging effects in our strained environment. We can very easily turn the tide and turn away from plastics for a greener, more sustainable future. 1869 – the first semi-synthetic polymer was invented by John Wesley Hyatt to replace the use of ivory. This was in response to a New York firm who offered $10,000 for anyone who produced a material that could replace the wild elephant ivory used in billiard cues. Elephant ivory was expensive, and having a synthetic product was advantageous to the manufacturers. 1907 – the first fully synthetic polymer was invented by Leo Baekland. Bakelite, the first plastic made with zero natural substances, replaced shellac as an electrical insulator. This came at a time when electricity was quickly spreading through American homes and businesses. 1939-1945 – Plastic use in the US increased by 300%. Along with many other inventions used today, the development of plastics didn’t really gain traction until World War II. Natural resources were scarce, and synthetic products were useful. Key plastic inventions included nylon and plexiglas. Following World War II, our economy turned upward, and the age of consumerism began. People were ready to fill their homes with “stuff.” Plastic-made products were cheaper than those of glass and metal. After the deprivation of the Great Depression and the first and second world wars, the ability to buy and own was seen as a fulfillment of the American Dream. 1947 – Plastic water bottles are first sold commercially. At this point they were expensive and seen as a quality item. It wasn’t until the 1960s that they were sold directly to the public (The Nimbus Project). 1953 – High Density polythelene is invented. This plastic, identified in the recycling formula as #2, is one of the most common plastics we see in everyday products. 1960s – The movement against plastic begins. Concerns over the negative impacts of plastic production were raised in the mid 1960s. This was the start of the environmental movement, combined with the publication of Rachel Carson’s Silent Spring, the public became aware of water, air, and ground pollution. They organized to demand improvements in waste disposal, radiation, natural resource depletion, to name a few. Plastics, were also hot on this list of concerns. The first plastic debris in the oceans was discovered. Plastic became seen as a cheap, flimsy product, rather than a symbol of national success. 1979 – Plastic Grocery bags are introduced in the U.S. Plastic bags were not an initial hit in grocery stores. In fact, most were hesitant to use the new product, concerned about price, quality, and consumer buy-in. It took a heavy campaign to spread plastic bag use widely in the U.S.
1982 – Kroger and Safeway begin using plastic bags. 1985 – 75% of grocers offer plastic bags to customers. At this point, most still preferred paper sacks. It took more than decade for plastic to catch on. 1980s – Plastic recycling begins. In response to the public concerns over plastic’s inability to decompose, the plastics industry was the first to present recycling as an option. They pushed for recycling programs at the municipal level nationwide. However, plastic recycling is far from perfect. In fact, many refer to it as decycling. There is still a lot of waste in the process, and many people still send their plastics to the landfill (Chemical Heritage Foundation). 1998 – K-Cup pods and Keurig are introduced. This was a specialty item, with limited success. 2002 – Bangladesh becomes the first country to ban plastic bags. Today there is an international focus on phasing out plastic bags. More countries are banning single use bags. Bangladesh is joined by Rwanda, China, Taiwan, and Macdeonia. Other countries prefer to charge per bag as in most Western European countries. 2012 – K-cups patent expires, and mainstream products increase astronomically. Keurig sales go through the roof, and consumers rush to purchase the quick and easy to use coffee pod machines and the variety of K-Cups products. In 2008 only 1.3 million coffee pod machines had sold. By 2013, following the patent expiration, 1 in 3 Americans reported to own a coffee pod machine at home or work (Boston.com). 2014 – California bans plastic bags. California was the first state to ban plastic bags, doing so in a phase-out method. Big chains such as grocery stores and pharmacies had to remove plastics by July 1, 2015. Smaller stores had till July 1, 2016. This cut out the 13 million bags previously distributed yearly in the country’s most populated state (CNN Money). 2015 – Hawaii bans plastic bags in entire state. Previously four of Hawaii’s counties had outlawed plastic bags. When the final county, Oahu, passed the ban, Hawaii became fully plastic bag free. Some argue this passes California’s ban which is not complete until 2016. 2010-2016 – The movement to ban plastics grows momentum. People are haunted by images of plastic buildup, particularly in impoverished areas. Plastic rubbish found in our oceans, streams, and on land increases. Haunting images of children playing in lagoons of water and garbage surface. And the call to move away from plastics grows steadily louder. A leader in this movement, the Plastic Pollution Coalition, is calling to people to ban their use of single use products – think of straws, to-go boxes and silverware, water bottles, and to move to a cleaner future. The Plastic Pollution Coalition is made up of over 400 organizations and businesses, notable leaders, and countless individual signers. Members include Greenpeace, Captain Planet Foundation, Heal the Bay, and Jeff Bridges, Maroon Five, Bette Midler, Martin Sheene, Jack Johnson, and President John Dramani Mahama of Ghana. Scientists are rapidly searching for a way to remove plastic from our environment, particularly the ocean. But they cannot keep up if we continue to use plastic at the rate we’ve been going. It’s our jobs to be conscious consumers – to say no to the straw, carry bags, and bring our own silverware. Now is the time to take part and get involved. You can join the coalition, or make your own concerted effort at home. For more ideas on how you can get involved check out this video by the Plastic Pollution Coalition. Do you have ideas on how to reduce waste and say no to plastics? Please comment below! The age of consumerism is arguably on the decline as minimalism, quality goods, and conscious purchases increase. People are doing the math, and realizing it’s more affordable in the long-run to buy one quality product than it is to purchase and replace cheap items repeatedly. Businesses are getting on board, providing high quality, repairable goods rather than disposables. Patagonia’s Worn-Wear Campaign is an ideal example. The outdoor goods company creates top quality products, and when these items do wear out they offer a repair program – encouraging their customers to love their clothes rather than throw them out. Tara Button is a entrepreneur who’s goal is to provide her customers with the highest quality, most durable products on the market. She was recently quoted in Telegraph’s “The Rise of Buy Me Once” saying, “I thought to myself one day last year when I was washing my Le Creuset pan, I will have this for life – wouldn’t it be great if everything else in my kitchen was like that? You buy it once and you never have to buy it again.” Tara populates her store with high quality goods, like Le Creuset, that will last a lifetime. She does the research and tests the products, ensuring they will fit her consumers’ needs. This diminishes customers frustration with trying on their own to find the best products on the market. Tara’s Buy Me Once is an online shop, that launched this year, offering clothes, shoes, kitchenware, appliances, and even toys to name a few! Her website also has useful articles, tips, and design challenges. Check it out! Wouldn’t it be a great resolution to set for the New Year, that everything we buy we’ll never have to buy again? Buy Me Once Campaign – give it a try. New Year’s is always a time for celebration, time with family and friends, as we recollect the memories made the previous year and plan for the joys of the coming season. This year for New Year’s eve, we decided to branch out and steer clear of the festive crowds, live music, and bubbly champagne that always seem to accompany the old growth of one year, and the ringing in of another. We found the most peaceful place we could, Bodega Bay, CA, and fell asleep long before midnight. We didn’t even pop a cork, and surprisingly it was my favorite New Year’s in memory. This year, we spent our holiday camped on Wright’s Beach, a few short miles north of Bodega Bay on California’s glorious Coastal Highway 1. While this was a popular destination New Year’s Day, we had several beaches to ourselves, or shared with a select few who were as quiet and serene as ourselves. Bodega Bay is famous for the Pacific Ocean’s crashing waves, rock outcroppings, winding roads, and sandy beaches. It’s about 25 miles north of the more popular Point Reyes National Seashore. You’re further from the crowds of San Francisco, and there are ample beaches allowing you to find a shore or cove all to yourself. If you’re ever in California, schedule a day in Bodega Bay. You’ll be glad you did. Below are a few of our favorite experiences while we were there. Wright’s Beach is a fairly large campground with a few dozen, private campsites. You can reserve online, but the trick is to reserve early and choose any of the campsites WB01 through WB09. These are the only sites with a direct view of the coast. You can see the ocean through your tent window or while sitting at the picturesque tables. Bring a few beach chairs, and prepare to enjoy a day with spectacular views, and a night lulled to sleep by the crashing surf. The Bay is a great site for birders. While here we watched Brown Pelicans, Coots, Black Turnstones, Buffleheads, and Brandt’s geese. There are ample restaurants and coffee shops, not to mention salt water taffy and kites! Each day, we stopped so Joe could enjoy a cup of coffee, while I treated myself to ice cream. Many areas of Bodega Bay are not safe for swimming or surfing. Salmon Creek, however is, and it’s one of the most popular places for watching surfers, beach combing, and admiring the wildlife. Here we visited the nesting grounds of the endangered Snowy Plovers and admired Marbled Godwits. The parking can be tough at Salmon Creek, so it’s best to arrive early. Don’t worry, the surfers and birds arrive at dawn as well. Goat Rock is a beautiful beach with astonishing views, and a picturesque drive. It is about nine miles north of Bodega Bay, and well worth the time. We popped on some Celtic music and pretended we were on the coast of Ireland. The cliffs did bear some resemblance to the Cliffs of Moher in Ireland, though each hold their unique beauty. When you arrive, you’ll notice many signs warning you to stay clear of seals who are very shy and come here to raise their young. We walked along the beach, to the largest waves we had yet seen, getting very excited when we saw the cresting backs of dolphins and occasional harbor seals and sea lions. It wasn’t until we came to the end of the beach and rounded the corner, that we saw the reason for all the signs. On the beach across the river, there were over 50 harbor seals sunning themselves, clear of the rising tide and human interaction. People watched as massive sea lions played in the swirling surf and the harbor seals humorously scootched out of the water onto shore. When they look back at you with soulful eyes, you can see why they’ve been coined the dogs of the sea. Definitely one of my favorite hours spent at Bodega Bay was visiting the seals. This year we went a different route for a new years, choosing a New Year that celebrated nature and the preservation of valuable outdoor sanctuaries. Our time in Bodega Bay showed the value of these parks and preserves that maintain nature for people, animals, and the natural processes of our planet. It was a memorable way to start the new year by honoring our planet, and those with whom we share it. November has arrived, the holiday season is officially upon us, and with it the many joys this time of year brings. People are unpacking their sweaters, making mulled wine, and preparing for the season of giving. This “season of giving” takes many different forms. Frequently it’s the offering one’s time through travel, parties, and festive get-togethers. It may be the giving of oneself in the form of peace, love, and forgiveness. In other cases it is the ceaseless giving of gifts. These gifts also take many forms including shiny new bikes, coveted toys, and stylish clothing – many of which may be soon forgotten or unappreciated. My family has always taken part in gift-giving, spending the better part of Christmas morning exchanging gifts we spent labored hours choosing for one another. Some of these gifts were brand new, others were a bit more special having been self-made – such as my sister’s ground flour and homemade syrups, my other sister’s treasured artwork, or my mom’s hand-sewn purses and bags. There were also many gifts that could be considered hand-me-downs, perhaps my parents’ older camping gear or furniture for example. Whether the gifts were brand new, homemade, or hand-me-down, they were all equally loved and appreciated. No doubt you have heard numerous complaints about the growing consumerism of the American Holiday season. Christmas goods are on the shelves before leaves turn yellow, movies and music take over favorite stations, and commercials ramp up the need to shop, shop, shop. This level of consumerism detracts from the reason for the season, hope, love, and charity, putting a focus more on budgets, giving, and getting. My family, fortunately, have reached that point, where we feel blessed to have all that we need. Therefore, making a Christmas list this year was more challenge than pleasure. Our solution – we would nix the shopping season, and replace it with a homemade or hand-me-down holiday. Every gift must be made or gently used. For example, a pair of chacos that have many years of good use but inevitably give me a blister with every raft trip, is a perfect gift for my sister-in-law who loves them. A pair of earrings I rarely wear because they don’t match many outfits are a great choice for my other sister who loves green. My husband’s tools he rarely uses might make a good gift for his brother-in-law who just bought his first house. I have taken up quilting, so this too will contribute to many of my family gifts. In this way, we are not contributing to the consumer apocalypse taking over our favorite holiday season. Instead we are decreasing our family footprint, and choosing to turn the season of giving into something more – one based on a season of love, sharing, and time spent together rather than time wasted in a stressful, loud, and pushy shopping mall. Don’t feel like you are obligated to give every person a gift. One of the main contributors to holiday waste, is the drive to give a gift to everyone. Avoid this inclination, and instead only buy gifts when you find something people will enjoy. Your family members should understand, especially if you make something for them that is simple and sweet. See #2. Cooking items are a great gift. My husband specializes in the kitchen, so his homemade gifts often take the form of pickles, olives, and spices. He makes a mean blackened spice which is often a gift in special, reusable glass jars. One way to cut back on the stress of a homemade/hand-me-down holiday, is to choose Secret Santa’s. This way you only have one or two people to plan gifts for rather than your whole family. If your family is large like mine, this is especially helpful. Christmas is a season of giving, but more importantly it is a time for hope, love, and charity. Wipe out stress this holiday season, by avoiding shopping and choosing a season based on gifts that are meaningful, and time spent with the ones you love. I promise, it will make it the most memorable holiday yet! If you’ve driven across the American landscape lately, you’ve probably noticed the increasing population of a new and fascinating structure. Wind-generated power is an increasingly popular source of renewable energy. Unlike oil, coal, or natural gas, it’s clean, safe, and reliable. The average wind turbine stands at 328 feet – 116-foot blades on a 212-foot tower. The windmill (as I fondly call them) sweeps a vertical airspace nearly equaling an acre. These massive tools are even more noticeable because they are generally painted a gleaming white – making a field of them look like angelic versions of the whirligigs we played with as children. Wind as an energy source is available to anyone with a bit of land for a large or small turbine. These smaller turbines are combating original concerns people held about wind energy, often referred to as “not in my backyard” or NIMBY. Today, wind energy is gaining popularity in private and residential locations. Farmers, for example, can generate revenue by allowing large companies to place wind turbines in their fields. Individual households can also participate by partnering with companies (see Windspire below) who have created smaller versions for individuals’ backyards. The American Wind Energy Association (AWEA) provides interesting statistics about the growing interest in wind energy as a renewable resource in the United States. According to AWEA, wind energy projects are present in 39 of the 50 states, totaling in more than 48,000 operating utility-scale wind turbines. The industry employs 73,000 people and currently generates enough energy to power 18 million homes in a year. To see the geographic spread of wind energy in the United States and the increase of Wind turbines in the past 15 years, see the two tables by AWEA below. In its earlier days, wind energy was confined to large farms in rural areas. Today, the landscape is changing. New forms of wind turbines are being developed that are less invasive and encourage people to install wind turbines in their own back yard. Windspire Energy’s mission was to make wind power available to businesses and home owners. They invented a smaller, more attractive wind turbine that is low cost and has a “plug-n-produce” ability that allows it to fit into smaller businesses and residential environments. Unlike the traditional wind turbine, Windspire’s appliance is only 30 feet tall and 4 feet wide. There are no propellers and the machine generates very little noise. Consumers with smaller yards can meet their energy needs by placing one or more of these Windspires on their property. Each unit is $9,000-$12,000. A tax credit generally drops the price to approximately $3,800. Windspire has focused heavily on the aesthetic appeal of their wind turbines, painting them in a non-corrosive substance that can be repainted in any color to match your home or backyard décor. It’s also been built with birds in mind – with a vertical and slow speed ratio that is not only quiet but easier for birds to see and avoid. For businesses, owning a series of Windspire turbines can do more than produce energy – it’s a visual display of your company’s commitment to corporate social responsibility – protecting our planet and choosing renewable energy. My sister in law works in a wind energy consulting firm. Below are her answers to a few questions about wind as a renewable source of energy. Describe what you do – what is a week/day in your career like? I work for a consulting firm, so in a typical week/day I perform quite a variety of tasks. They may include technical studies such as sound modeling, writing reports for wind farm permits, reviewing projects as part of due diligence work, and working closely with my team members and others within the organization to manage and deliver work to Clients. What would you most want people who know nothing about wind energy to understand? Wind energy is a clean, safe, reliable form of energy. There are wind resources available across the country that can be effectively used to produce power and reduce carbon emissions. What are the greatest benefits of wind energy? The fuel is free and plentiful, the energy is cost-effective, and the power produced uses zero carbon. There are wind resources available across the country, so the wind can be harnessed in many states and offshore. In rural states, wind energy can provide important, stable economic benefits, and landowners can receive long-term financial payments by leasing their land to wind farm developers. What are the greatest challenges of wind energy? Federal policies in support of wind have been inconsistent, leading to uncertainty for wind farm developers. Additionally, some states and local jurisdictions have passed NIMBY-esque laws creating citing challenges for wind projects. Finally, even the greenest forms of energy are not zero-impact on the local environment. Wind farm developers are constantly working to minimize any potential impacts of their projects on communities, protected species, birds, protected lands, and other natural resources. Typically, the benefits of wind energy far outweigh any negative implications, but their consideration is important. I am an avid supporter of wind energy as an increasingly important part of our nation, and the world’s renewable energy mix. The days of dirty energy are coming to an end. As awareness increases people are tired of oil spills, coal sludge, and dirty air. We want future generations to enjoy a planet that has fresh air, clean water, and biodiversity. If you want to learn more about wind energy follow the links below. Also consider sharing this post so more people can learn about this valuable, clean, and reliable source of renewable energy. The American Dream was established on principals of freedom, equality, and the pursuit of happiness. Initially these concerned religion, commerce, and day-to-day activities. As time wore on, the pursuit of happiness became more about property, a nice home, and items to fill that home. The 20th century is marked by many accomplishments, failures, and trends. One of the major trends was consumption. Especially during the second half of the century, Americans’ buying and spending increased at a shocking rate. As wealth spreads globally, so does consumption and awareness of the problems it creates. In the 21st century we are seeing the start of a new trend, one that celebrates minimalism. We are attracted to quality products, conscious capitalists, and tiny houses. This perhaps may be the inception of a new trend, one that is healthier for people, our future, and our planet. If you are considering a minimalist take on life, below are three benefits of this lifestyle. 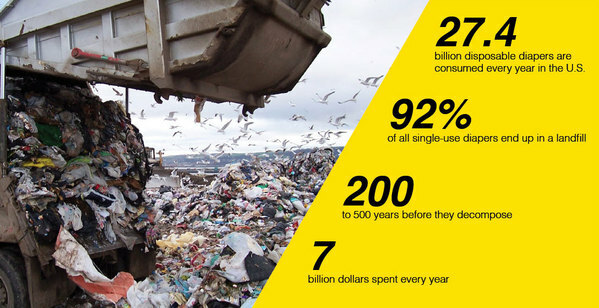 Each year 35 million cell phones land in the garbage, 25 billion Styrofoam cups are not recycled, and the average American is responsible for 65 pounds of clothing tossed in the landfill. These are the result of a consumptive society. Think about the activities you participated in over the past week. Now consider the items that were used and thrown away. Whether it was disposable food containers, plastic decorations for a party, or bags at the grocery store. (The average American uses 300 plastic grocery bags a year!) These are only a few examples of the items we are creating, consuming, and tossing. If everyone in the planet lived at the consumptive level of Americans, we would need 3 planet Earths to support the resource need for goods! Next consider the items you’ve purchased in the past year. How many of those things do you use on a daily basis? Weekly? Monthly? If you haven’t used it in the past six months, do you really need it? World household consumption increased fourfold in the years between 1960 and 2000. 60% of this consumption took place in the US and Europe – regions that account for only 12% of the world’s population. The consumption class is a group that has been growing since the 1960s. As developing nations gain technology and wealth, the consumption class will continue to grow, stressing our already over-taxed resources. Minimalism is a growing response to the negative impacts of over consumption. By choosing a minimalist lifestyle, you decrease the goods you purchase, and minimize the items you need. If everyone adopted a minimalist lifestyle, it would have major environmental benefits for our planet. Minimalists choose a different meaning of life. Whether its clothes, tools, gadgets, or trinkets – people have things they’re attached to. The problem with this attachment is you cannot get away. When the time comes to relocate, whether it’s to a new house, state, or country – the more items you have, the more stressful the move! You also have to spend more time and money taking care of these items. Consider the amount of time you spend sweeping, dusting, cleaning and repairing. Now cut that time because you have fewer things. You can instead enjoy yourself doing something fun outside with your family, friends, or pets. Using the same idea, reflect on how much money you have spent on items you brought home, stashed somewhere, and soon forgot. If you had not wasted money on more “things” you may have instead applied those funds to travel, charity, or built up a healthy savings account. Choosing a minimalist lifestyle can be liberating. Decreasing your “stuff” gives you more freedom with space, freedom with time, and freedom with money. The American public works harder than any preceding generation. According to the Center for American Progress, 85.8% of males and 66.5% of females clock in more than 40 hours per week. While 134 countries worldwide have laws regulating the workweek length, the US does not. Americans are also taking fewer holidays and sick days. The image below by the Center for Economic and Policy Research compares work days and holidays across several developed countries. The US is at the bottom level of the chart. So why are Americans working so hard? You may assume it’s the passing down of the age-old American work ethic, but researchers are finding new reasons. Many argue the increase in work is a result of our consumerist culture and our growing consumption class. The more things people want to buy, the more they must work to afford them. By choosing a minimalist lifestyle, you can live with much less money and can significantly decrease the time spent in the workplace. The overall health benefits of this decision are invaluable. The minimalist movement is gaining the attention of people at all wealths, ages, and cultures. Whether you are attracted to the freedom, the affordability, or the opportunity to lower your footprint, minimalism is a choice with innumerable benefits. By reconsidering our values and choosing to deny consumerism, we break away from an existence tied to “stuff” for a more fulfilling, enriching lifestyle. The minimalist movement is growing, and there are many helpful leaders to follow. Check out The Minimalists for more helpful information. In the end, choose simple living. Choose Minimalism. Nice quilts and blankets, full sets of plates, silverware, and glasses, stereo equipment, and of course shoes and clothes. These are just a few of the items I found during my recent perusal of our town’s local Goodwill. We were there looking for items to supplement our BBQ set, spending money on reusable goods rather than disposable plates and platters. As I walked through the well-organized aisles, bobbing my head to Backstreet Boys’ “Bye, Bye, Bye,” I realized there was more value to recycled goods than the 90s music. There were great household items, clean, attractive clothing, and friendly staff. Buying used is not simply a second hand option, it’s a solution. In our grandmother’s generation, you were more likely to purchase used goods than new ones. Today, consumer products are so affordable, people don’t have to shop vintage but they still should. There are many reasons to buy second hand: you have the opportunity to recycle, your goods will have character, they’re unique and cheap, and you get to regenerate great stuff. Below are mindful reasons to buy second hand and some great ideas where. In a world where the human population is increasing exponentially, the need for recycling coincides with our rapid growth. We cannot continue to produce new, expendable goods at our current rate. The planet’s resources won’t keep up. We need to be mindful of our products – choosing high-quality, single goods that will last a long time, rather than a closet full of cheap goods that last three wears. One great way to recycle is to purchase our clothing and household goods used, bringing them back into life rather than sending them to the landfill. Often in today’s consumer-driven world, it’s not unusual to buy a shirt at target and see fifteen other people wearing the exact same thing. Not that this is a big deal, but the most you can say about that item is it was a cheap shirt at Target. When you purchase goods second hand, you get to imagine the life it once lived, taking part in your new life. Your goods are unique and well loved. Also, it’s not unusual to find great, expensive brands, that will last ten times longer used, than that cheap, single shirt from Target. It’s not surprising many thrift stores reach their peak around Halloween – people often scour these locations looking for the unique and unusual goods to supplement their costume. This treasure hunt doesn’t have to be limited to October, however, think about all the other times you’re looking for something a bit different. For example, my husband likes to find unique crockery in antique stores to serve as vases for special occasion flowers. You can find cool furniture for your house, or used goods in an REI attic. Second hand is the way to make sure your stuff stands out. I already mentioned your stuff comes with a story when you buy second hand. You may never really know the tale, but you do get to breath new life into great stuff. We’ve seen the advantages of second chances and come backs – rescue pets, oldies music, Robert Downie Jr. – to name a few. Also, fashions are cyclical, the clothes worn in the 80s and 90s will eventually be back in style. The china from someone else’s wedding becomes your treasure. A priceless antique, built by the hands of a farmer in the 30’s is now the family kitchen table. Very few products are used to their full potential before they are given away, they’re just waiting for a second change to show their potential. The options for buying second hand are as unique as the shoppers. The most affordable are generally your nonprofit locations such as Goodwill and Value Village. If you’re looking for higher-end brands, look up your local consignment shops – often people are selling $150 jeans for $30, shoes and purses too. For furniture, dishes, and trinkets – check out antique stores and furniture dealers. Many stores are popping up selling used and new furniture in separate show rooms. If you’re looking for outdoor gear, REI has their attic – in which they sell returned items that cannot be sold new. This is a great place to find good quality sleeping bags, skis, boots, and expensive coats for very low prices. If books are your handle, set down the kindle for a while and check out a used book store! There’s many great books that you can read and return at your convenience. Finally, if you prefer to do your digging online, another great option for purchasing second hand is craigslist. This gives you the option to choose your goods before ever leaving the house. Whatever your need, consider checking second hand first. Not only will you be helping reduce our footprint on the planet, you’ll be breathing second life into great old products. You’ll be unique, have character, and in all likelihood have a lot more fun in the experience. If you know of other great places please share them in the comments! 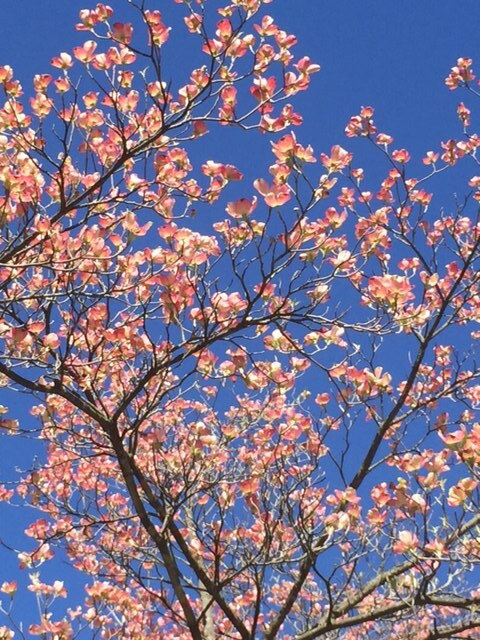 If you’ve taken a walk through your neighborhood lately, you’ve probably noticed spring has sprung. Flowers are on the trees, the grass is green, birds are in full song, and there’s a new scent on the air – the smell of grills and BBQ. That’s right, with the passing of the seasons comes a time-honored event, the year’s first outdoor get togethers. As you’re planning your upcoming events, think about the ways you can make an impression, by lessening your footprint and increasing the fun. The common go-to for outdoor events is disposable consumer products including paper plates, napkins, plastic cups and cutlery. While these may save you time the day of the event, think about the years it requires for these convenience products to decompose. For this year’s BBQs, consider a little earlier preparation, so you can throw away these bad habits and throw a WASTE FREE BBQ. A new plastic set, especially for a larger party can be expensive at the store. No worries, there’s a secret to overcoming this quandary. Your local goodwill is likely filled with many different plastic sets of cups, plates, pitchers, and serving platters. I was able to buy 12 plates for $.99 and they’re still in good shape. If you can’t find a matching set in the numbers you need, consider picking and choose different and fun, unmatching sets. Your guests will enjoy picking their own goods, and they’ll have no problem remembering whose is whose. As for cutlery, goodwill usually has trays and trays of utensil sets, but if you can’t find what you’re looking for don’t worry! We use our own silverware and spend the 10 minutes washing them at the end of the evening rather than throwing away mounds of plastic utensils. To keep these goods from taking up space in your kitchen, consider storing a BBQ tote with your reusable goods. If this is not an option, return the items to good will – at $10 a set, you’re spending little more than you would have on disposable plasticware. Paper napkins are also very wasteful, so replace these items with sturdy, reusable cloth napkins. They work better than cheap paper napkins, and there are several options. Choose which works best for you! Go to your local fabric store – “Fat Quarters” are large square pieces of material for $.99 a square. You can pick 12 different colors so each person has their own napkin and remembers whose is whose. Handkerchiefs also make great napkins. You can find these cheaply online, or you can look at your local Walmart, goodwill, etc. If you can’t find what you’re looking for in a store, 12 packs of napkins can be as cheap as $10-$15 for a set. You can order these on Amazon and have them delivered to your home w/in a few days. Tablecloths are also something to consider for your BBQ. There are a few good options for these too. The best choice for reusable tablecloths are bed sheets. Believe it or not, these can be pretty, light, and recycled! For a large picnic table, fitted bed sheets are fantastic. My mom has been using them for years. They band around the table edges, stay in place, don’t blow away, and are a sustainable option for sheets you may no longer use as bedding. If you do not have any sheets to use, find a set on clearance at the store. It’s ok if they’re a bit scratchy because you’re not sleeping in them. Also, if the décor is a bit unusual – it will only add to your fun picnic set. When the BBQ is done, throw your napkins and sheets in the washer and fold them up for future outdoor get togethers. You’ll never have to buy paper napkins or vinyl tablecloths again. For your BBQ décor, it can be fun to have unique outdoor décor. However, once the BBQ is over, there’s often no use for these items and they end up in storage or the trash. Save your money and choose reusable, outdoor friendly décor. Goodwill is packed with extremely cheap glass vases and canning jars – fill these with wildflowers, fallen tree branches, or rocks and sand. You can return the old vases to goodwill when you’re done and save your storage space. Your choice of décor will accentuate the outdoor beauty and save you money and energy for enjoying your time outdoors rather than messing with decorations. Once you’ve developed your waste free BBQ consider other ways you can make a difference – fill your grill with fresh, local vegetables, sustainably produced grass-fed beef, and make sure it’s only as much as you can eat. Make your waste-free BBQ, food waste free too. "Climb the mountains and get their good tidings. Nature's peace will flow into you as sunshine flows into trees."